The nation is mourning the passing of its 41st president, George H.W. 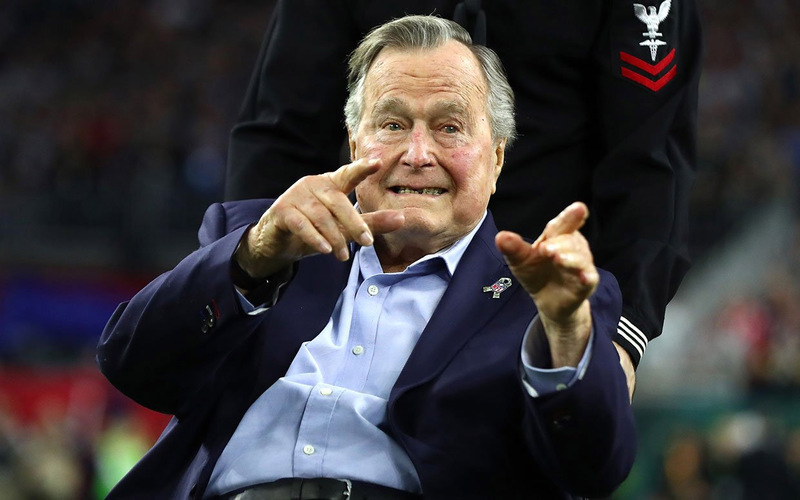 Bush, who died on Friday, November 30, at the age of 94, just seven months after Barbara, his wife of seventy-four years, passed away. United Nations, Director of the Central Intelligence Administration (CIA), Vice President, and finally, President of this great nation. losing the number one job to Bill Clinton, George H.W. Bush worked with President Clinton on numerous projects and an equal amount of charity work. wanted President Trump to be at his funeral and made it known in life despite the tense relationship between the two families, showing class and that he was a good man. An aide helped Dole out of his wheelchair so he could stand briefly to give his former challenger a military salute. 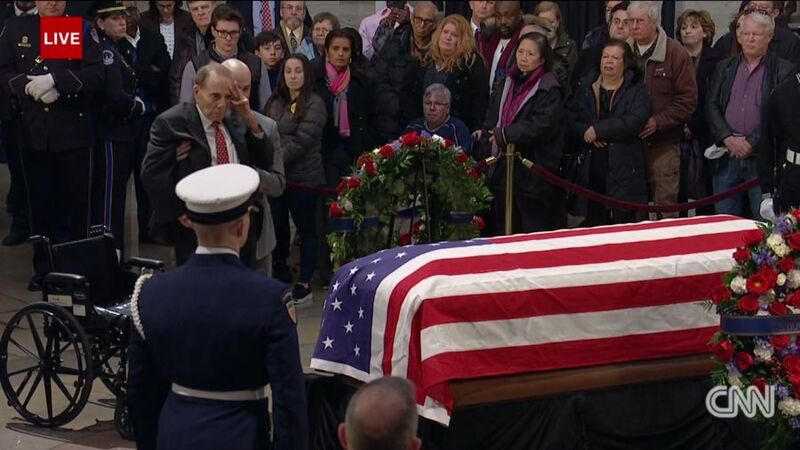 Former senator Bob Dole, who had twice competed with Bush for the Republican presidential nomination, made an emotional appearance Tuesday afternoon in the U.S. Capitol Rotunda. At 95, Dole looked far different than the man he was when he vied for the presidency decades ago. He was frailer now, and in a wheelchair. His eyes were fixed on the casket before him. An aide helped Dole out of his wheelchair so he could stand briefly to give his former challenger a military salute and show his respect even if it was only for a few seconds, causing a moment of emotion by some of the attendees. So far while penning this sad editorial on Tuesday afternoon we have not heard a word about the Senator for Nevada who never retires, former Majority Leader and thirty-six years in the United State Senate, Harry Reid, who may think he is too good to show President George H.W. Bush the respect that he earned through his personal and political career and as a great server of the country he loved so much. Bush’s footsteps in leading the agency. At the time of this writing, President Donald Trump and First Lady Melania were walking in to meet with the Bush family to express their condolences in person and we pray that this could be the first step toward peace between the two families for a better future for this nation. known for his sophisticated way of fixing the impossible. We hope so.